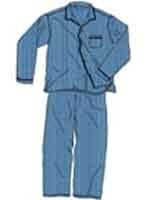 Long sleeve, long leg broad cloth pajamas. 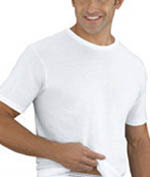 55% cotton/45% polyester with full cut comfort. Full piping along collar and chest, one front chest pocket, reinforced stress points for long wear. 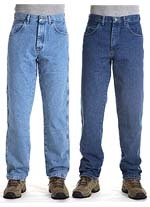 Pants have an elastic waist with snaps for adjustable sizing and snap fly. Machine wash. If you would like a specific solid color or a specific color in the print, please just let us know in the special instructions portion of the order form at check out time and we will do out best! 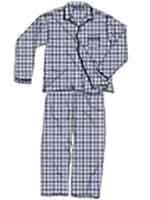 Long sleeved flannel pajamas. 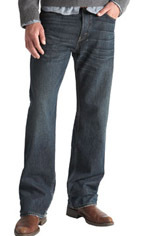 Features yarn dyed woven patterns, button front, assorted stripes or plaids. 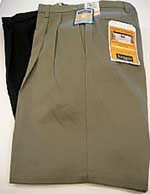 Full elastic waisted pants with button snap fly. 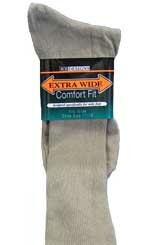 100% flannel cotton. If you would like a specific color in the print, please just let us know in the special instructions portion of the order form at check out time and we will do out best! 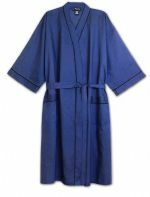 Light weight, broad cloth robe with fabric belt. 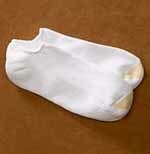 Kimono sleeve length is approximately 16 inches. Full piping along collar and chest, reinforced stress points for long wear. 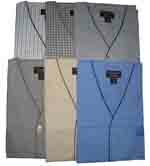 Great for spring and summer or anyone looking for a light weight robe. 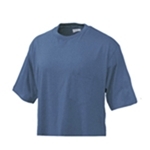 Machine wash. Made of 55%cotton 45% poly. Short sleeved and knee length shorty pajamas. 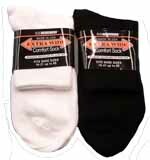 Made of 60% cotton, 40% polyester. 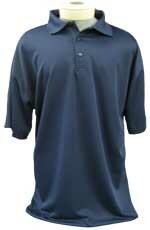 Features one chest pocket, v-neck button down front. 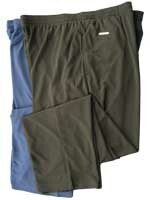 Shorts have an elastic waist with a snap fly. If you would like a specific solid color or a specific color in the print, please just let us know in the special instructions portion of the order form at check out time and we will do out best! 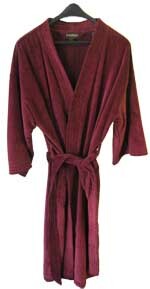 Solid color terry velour kimono robe with matching belt. 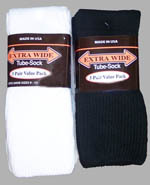 Comes double sized 1X/2X, 3X/4X, 5X/6X, LT/XLT, 2XT/3XT. 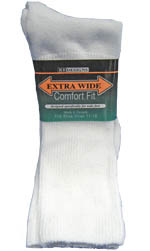 Heavier weight, made of 100% cotton. 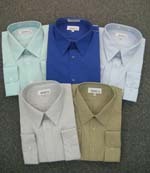 Enlarged picture shows Navy, Hunter Green and Burgandy.